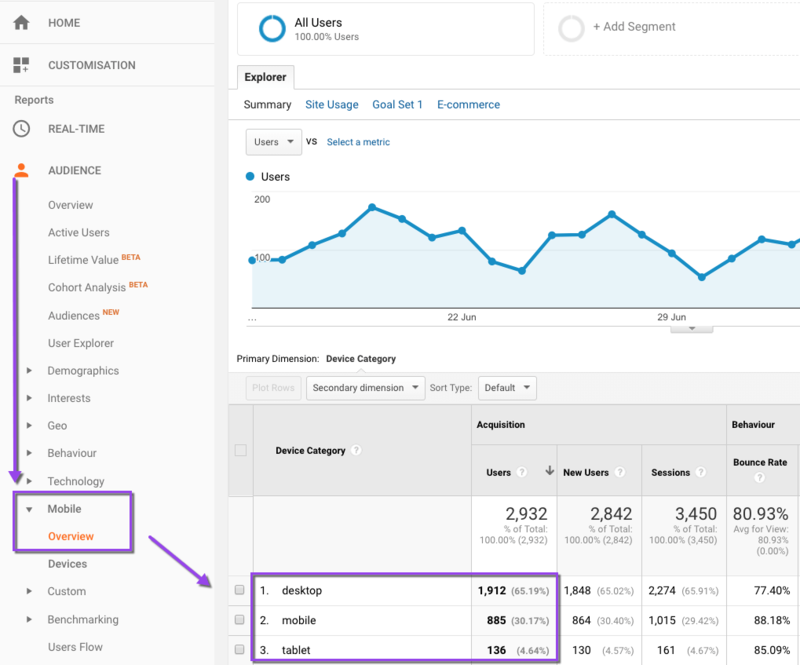 Improve your website bounce rate by 4.4% in 12 weeks using these Google Analytics tips and see an increase of up to 43.7% in website conversions. That’s the results I achieved and I’ll explain how you can lower your bounce rates. Definition of bounce rate ? Google Analytics Bounce Rate Report. 65% of people visit my website using a desktop computer. 75% come to my website from a Google search result. Website bounce rate is a symptom of other issues or problems with your content, navigation, brand or products. There is nothing more soul destroying than someone visiting your website and leaving straight away. The problem is that you don’t see this bounce problem unless you look for it. 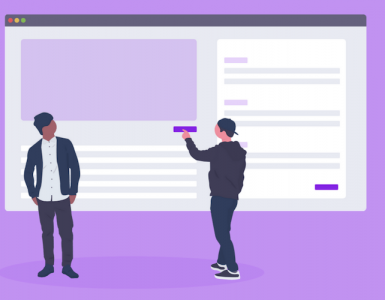 Bounce rate, as defined by Google, is a user opening a single page on your website and then exiting without visiting another page during that session visit. If 100 people visited by website total and 80 of them visited one page and left then my bounce rate would be 80%. The difference between bounce rate and exit rates is this; bouncers only visit one page and leave, exit rate is the percentage of people who left from that one page and may have viewed more than one page before they left. I have an 80.93% bounce rate on my website. That means 80% of people who visit my website leave after looking at one page. However, my bounce rates are higher from organic traffic and lower from direct visits, social, referral and email visits. Still fairly depressing right ? So how do you go about identifying your website bounce rate ? 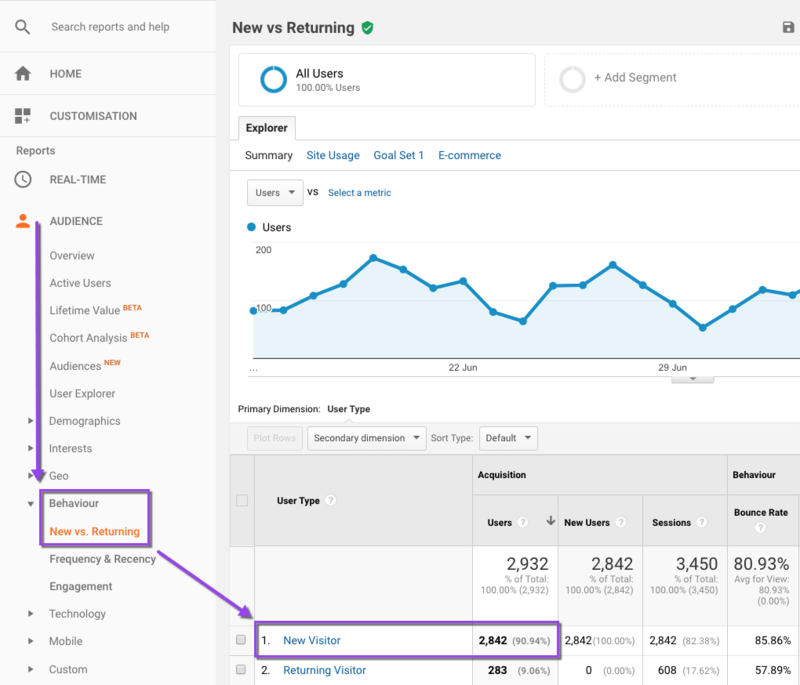 Here’s how to find the bounce rate report in Google Analytics. Select Acquisition from the left menu. On the centre of the screen you’ll see the behaviour column highlighting total bounce rate and by channel. 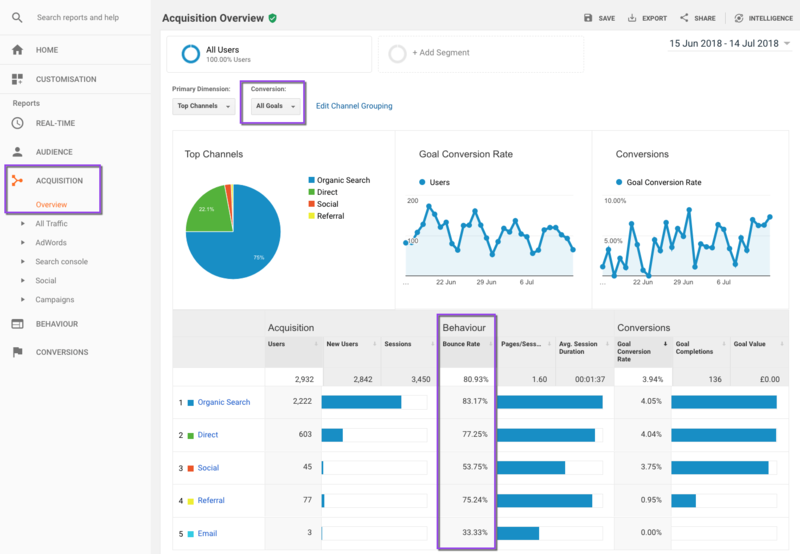 I’ve chosen to display conversions to review and compare traffic source, bounce rates and conversions. 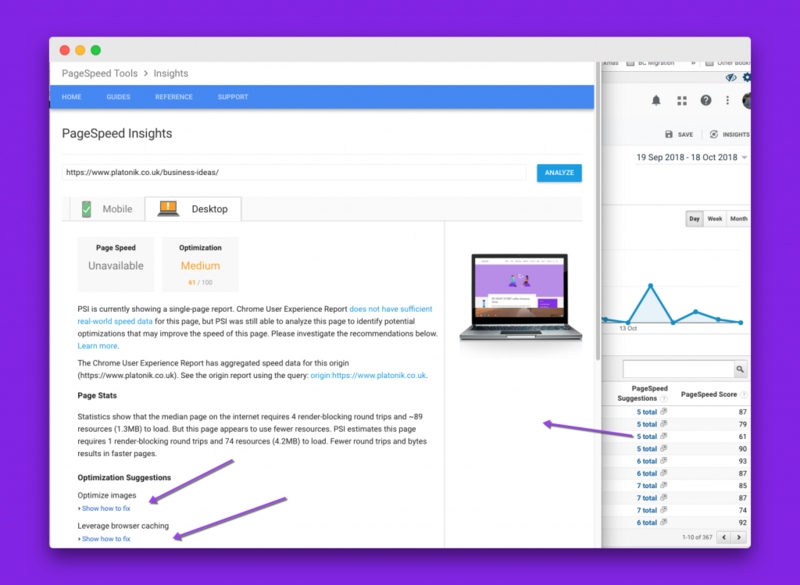 What does the bounce rate report tell me? My conversions come from the 20% who look at more than one page. I’m fairly happy with my conversion rate of 3.94%. But still, 96% of people leave without taking any action. These bounce rates are simply a benchmark based on data from a report by Ecommerce Europe . If you look at the layout of my site most pages are one long vertical column. I don’t give people much opportunity to view other pages of content. The next thing to look at what devices people use to access your website. I looked at how people found my site. 65% use a desktop device. As I mentioned above, 75% of my website traffic comes from Google search results. The report below shows how to find first time visitors versus returning visitors to your website. I have neglected this issue for a while instead focusing on organic traffic and my conversion rate. 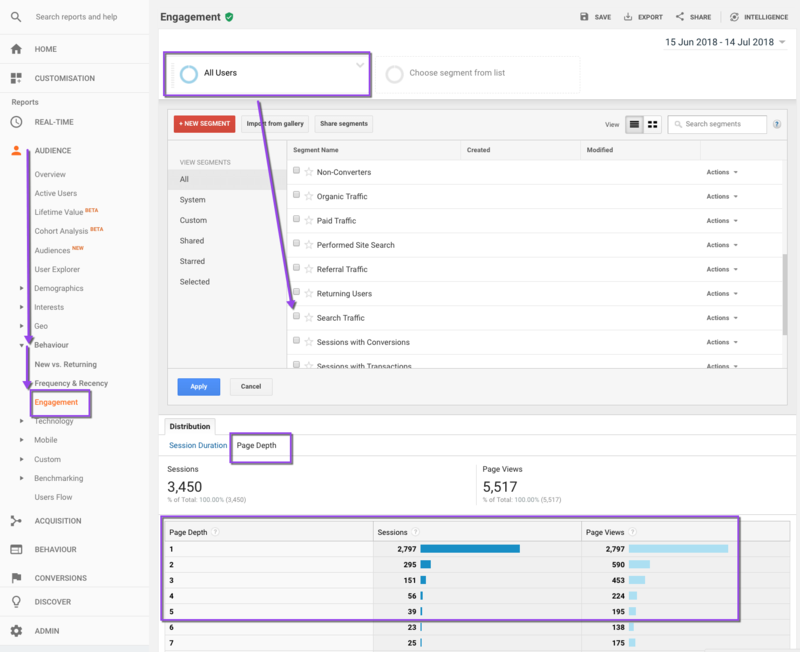 Another report is the engagement report in Google Analytics. Engagement is a horribly term that has crept into the marketing vocabulary. Just because someone looks at 3 pages on my website doesn’t mean they’ll get in touch and buy from me. Rant aside, if 75% of people only look at one page you know you have a website problem. In my report, you can see page depth of 1 is 2797 sessions out of a total of 3450. The page depth of 2 is probably those people who looked at a page (1 page depth) and landed on the thank you page (page depth 2) after filling out the web form. 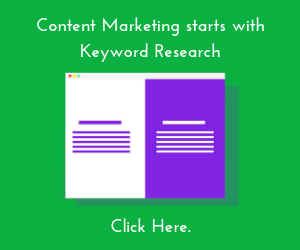 If you want, you can choose to segment this report by search traffic or other segments. People visit my website from Google, most look at one page, leave and don’t return. 99% of my visitors and subscribers are non transactional. So I decided I would address my bounce rate and transactional issues by adding a right side bar to every page. At the top right of each page I added links to main categories and a banner ad areas showing images of website projects I’ve worked on. As you scroll down the page there’s a sticky bar. The screenshot above is from the planning a website page. And the right side bar contains links to articles related to planning a website. 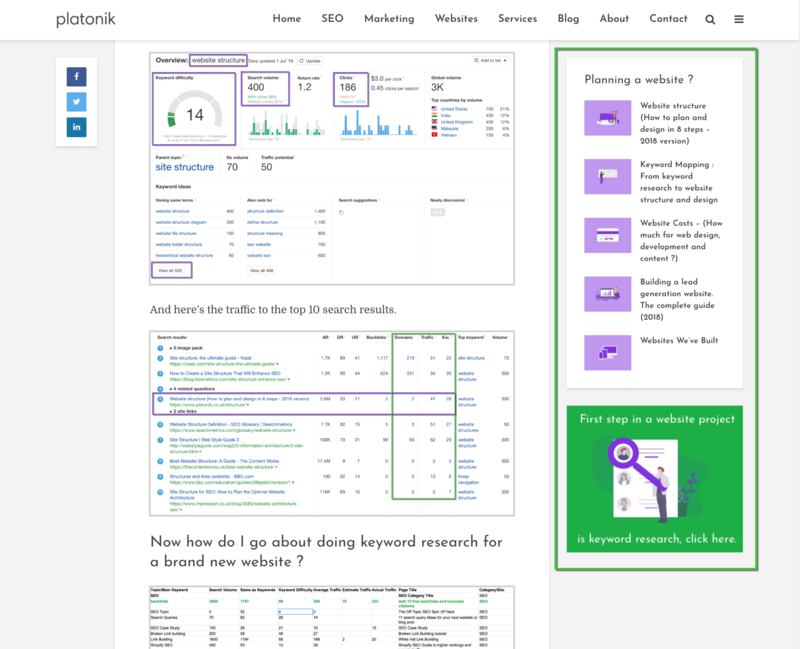 Then, my transactional banner in green; the first step in a website project is keyword research, click here. It’s unlikely first time visitors will click and buy. 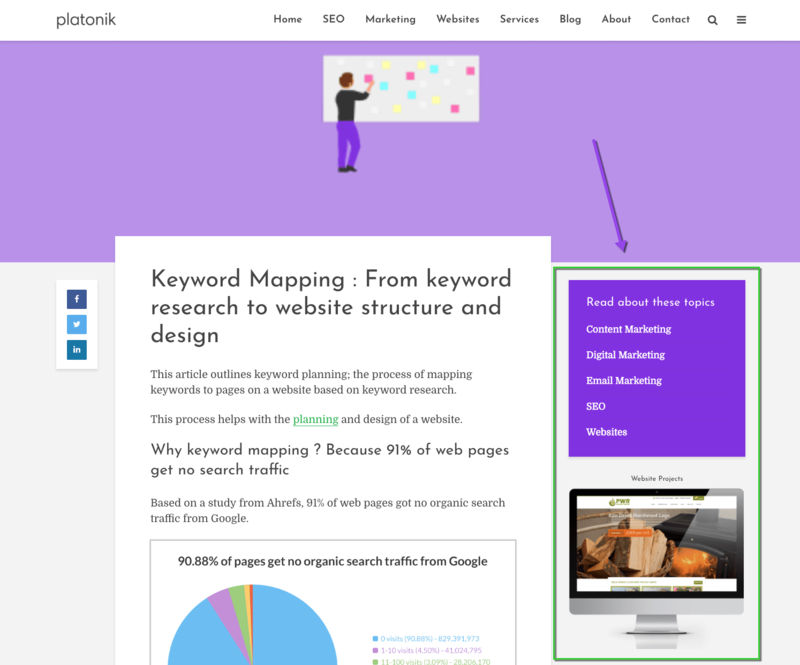 However, I’ve reinforced the message that keyword research (my service) is vital in website projects. I’ve created 3 sticky sections. One for planning a website. One for improving website content and conversions. And one for increasing traffic from google. 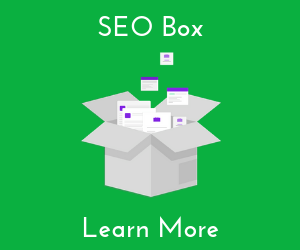 The image below is taken from an SEO page. 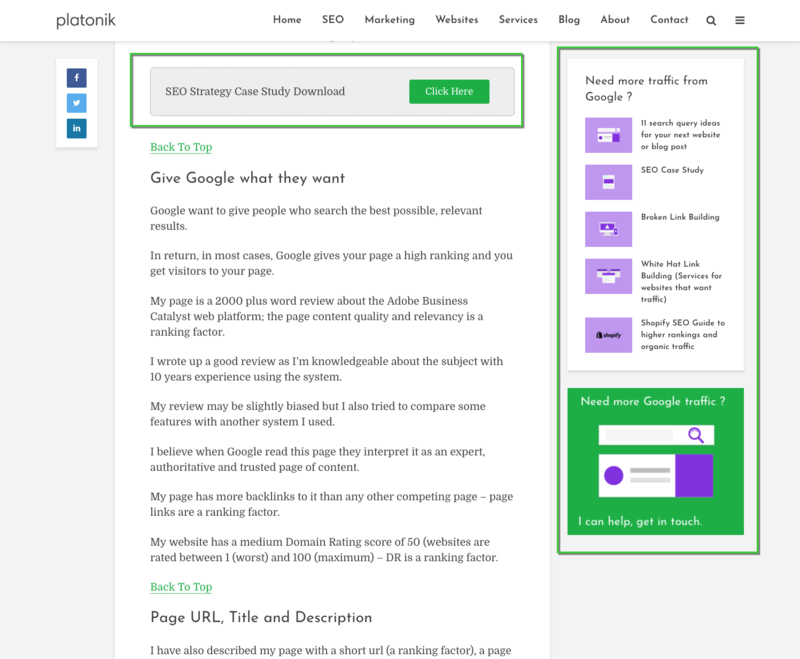 The message on the right side bar is “need more traffic from Google” with links to 3 SEO articles. Hopefully people read more than one page about SEO. Then underneath, the green banner ad, the link to contact me about help with more Google traffic. 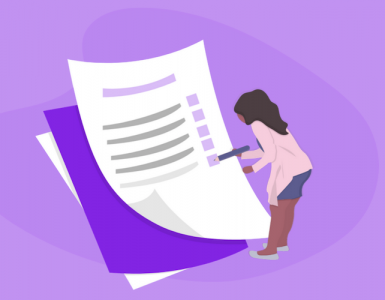 There’s a feature within Google Analytics called Site Speed Suggestions you can use to identify page speed issues and bounce rates. First identify the pages on your website with the highest bounce rate. Look at the page speed score of the pages with the worst bounce rate. 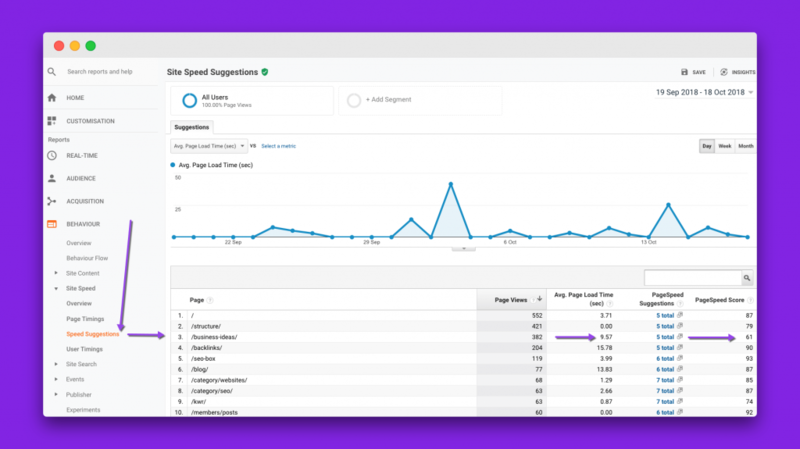 Now click the link eg: 5 total on the page row and a window will pop up with the page speed insights and provide recommendations. Image size is typically a problem so you can download the images that Google have optimised or optimise yourself. You will see these other technical solutions. This is above my skillset but if you use WordPress there are plugins to help with these recommendations. I recommend you back up your website before installing these plugins and/or getting a web developer to do this for you. 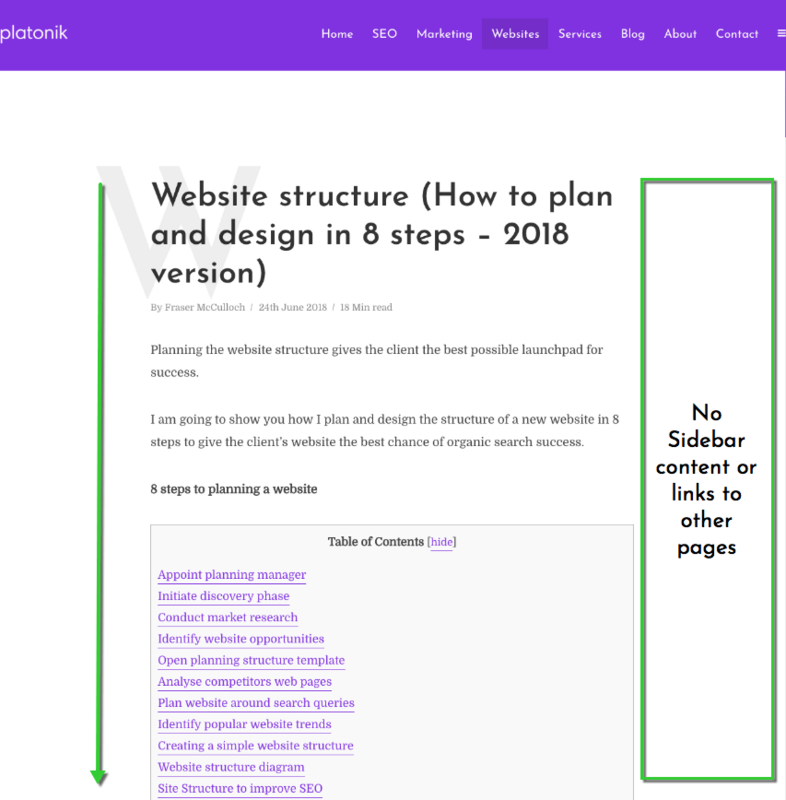 I spent 3 x 10 hours days working on implementing this new layout, adding illustrations and creating the side bar content links. 3 months after making changes saw my bounce rate reduce from 81.90% to 78.29% and my website conversion have increase from 2.48% to 3.57%. Working on content or website conversion ?